Bartow, FL-August 22, 2013 – Bartow Ford and 97 Country/WPCV held a milestone F-150 giveaway on Saturday, August 17, 2013. Announced at Bartow Ford’s 65th Anniversary party, the winner, Mary Miller of Mulberry, Fl, took home the keys to a brand new F-150. Mary’s reaction to the win was shock. “I was shocked; I’ve never won anything before. I was speechless and I think I am still in shock,” revealed Mary. Ms. Miller was one of 6 finalists selected from Bartow Ford’s 65 Days of Summer contest qualifiers for the chance to win a new Ford truck. 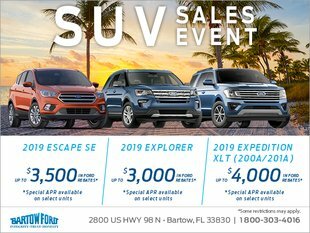 Bartow Ford and 97 Country teamed for their annual truck give-a-way allowing Central Florida listeners the chance to win cash, prizes, and one grand prize. Over a 10 week period 65 qualifiers were selected through the 65 Days of Summer word scavenger hunt. Contest participants won daily prizes plus $100 courtesy of the Central Florida radio station, and were entered to win a new Ford F-150. This year’s contest honored Bartow Ford’s 65 years of business in the Polk County community. The completion of the 65 Days of Summer contest concluded with a 65th Anniversary event. Polk County dignitaries, past and present Bartow Ford affiliates, and public supporters gathered to celebrate over six decades of dedication in the automotive industry. Event guests and contestants were treated to wine and whiskey tastings, visually engaged by Tampa Bay artist Dee Sabean, and serenaded by the complimentary sounds of the Brian Sutherlin Trio. 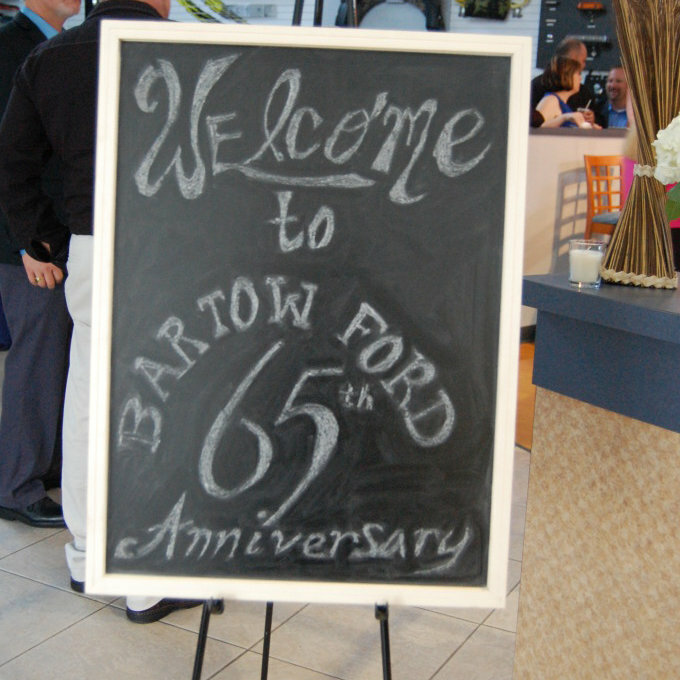 “We had a tremendous event to commemorate the 65th anniversary of Bartow Ford. I want to thank the city of Bartow and Polk County for 65 years of business,” acknowledged Benny Robles, Sr. Many local businesses donated prizes to Bartow Ford’s 65 Days of Summer contest including: 97 Country/WPCV, Ultimate Arms of Lakeland, Rayside Truck and Trailer, Gatorland of Orlando, and Knapheide Truck Equipment.